Marshall Curry’s documentary about Matt VanDyke, a 26-year-old from Baltimore who ended up fighting with the Libyan rebels against Moammar Khadafy during the civil war, wanders through a dizzying maze of conundrums as it shares VanDyke’s footage of his post-modernist Odyssey. Provocatively titled “Point and Shoot,” it poses questions about the meaning of masculinity, adulthood, and identity in a culture in which experience is reduced to image — nothing is real unless it has been recorded, and everything that is recorded is just a performance. 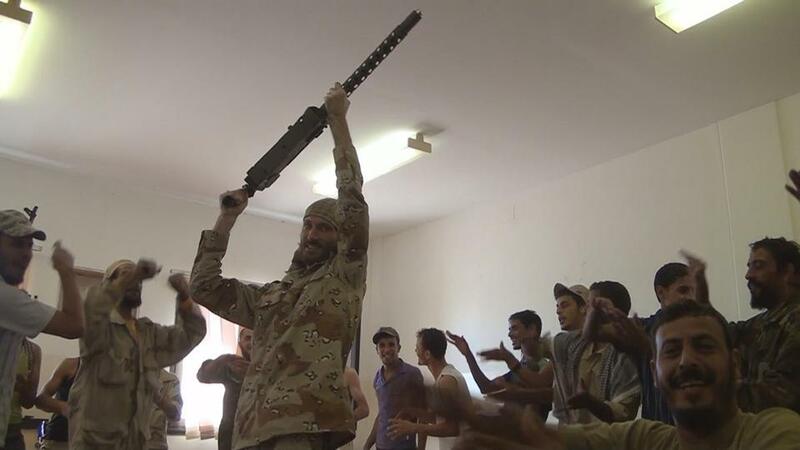 What would seem the film’s most obvious subject — the Libyan War itself — is perhaps taken for granted, its causes and consequences barely discussed. Only occasionally does “Point and Shoot” peek outside VanDyke’s self-involvement to glimpse a larger context. But ignorance of the world beyond one’s own self-image, symptomatic of today’s culture of voyeurism and alienation, might be the whole point of this brilliantly constructed and provocative film. “An only child of an only child of an only child,” as he describes himself, VanDyke grew up pampered, privileged, and alone. He had no friends, played video games 12 hours a day, and modeled his imaginary life after movie action heroes. In addition, he suffered a variety of OCD behaviors, including obsessive hand washing and a fear of sugar. Not the kind of problems you want to have when locked up for five months in a filthy Libyan jail cell. VanDyke realized he had to break free from this infantilism. How many adults still live at home in their 20s with their mothers cleaning their rooms, making their meals, and doing their laundry? (Answer: quite a few.) Inspired by Alby Mangels, an Australian star of self-produced extreme adventure films who comes off like a combination of Crocodile Dundee and MacGruber, in 2006 VanDyke jumped on a motorcycle, grabbed a camera, and set off to explore the world. The documentary is about Matthew VanDyke, a young man from Baltimore who joins the Libyan revolution. He covered thousands of miles crisscrossing North Africa and the Middle East, landed a gig covering the Iraq war for the Baltimore Sun, and met a Libyan hippie who became his best friend. 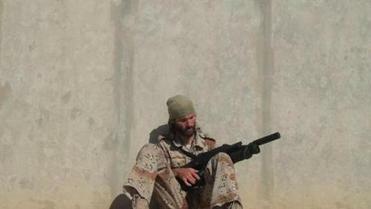 In solidarity with his new pal, when the revolt against Khadafy began, he joined up. Thus he made the transition from observer to participant — he was no longer just shooting life from the outside but was part of the action. Curry interviews VanDyke sitting in front of his laptop, on which he plays scenes from the video diary of his life, much like the post-facto editing scenes in “Gimme Shelter.” Despite his neuroses, VanDyke displays self-awareness and humility, and a charisma that ranges from the goofiness of Owen Wilson to the grandiosity of his hero, Lawrence of Arabia. Finally Curry asks the question on every viewer’s mind: Did VanDyke ever shoot someone — for real? As VanDyke plays the scene in which he sets up the shot of him taking a shot at an enemy sniper, it is horrifying, but it’s impossible to look away.